TALE OF THE CAT (USA) (Bay 1994-Stud 1999). 5 wins, Saratoga King's Bishop S., Gr.2. Champion USA Sire of 2YOs, 2003. Sire of 1823 rnrs, 1302 wnrs, 98 SW, inc. Gio Ponti (Santa Anita Frank E Kilroe Mile H., Gr.1), She's a Tiger, Stopchargingmaria, Glamour Puss, Tale of Ekati, Lion Heart, Tell a Tale, My Trusty Cat, Gathering, Cat Moves, Falkirk, A Shin Top, Forty Tales, Real Saga, Trusting, Be Gentle, Favorite Tale, Tale of a Champion, etc. Tiger by the Tale (g. by Tale of the Cat). Winner. See below. Caravel (g. by Henrythenavigator). 2 wins at 1000m, 1100m in 2014-15 in Aust. Spinner's Magic (O'Reilly). 5 wins. See above. Ace Harmony. 3 wins from 1200m to 2000m, A$109,700, MRC Westpac Business Cup, No Fuss Solutions H., 2d MRC Betfair H., 3d Sale Cup. HERMOD (Planet Kingdom). 5 wins from 1200m to 2400m, A$87,200, STC Tulloch S., Gr.2, AJC Anniversary H., L, NSW Tatt's RC FJ Carberry H., STC Westmead Welter H., St Leonards H., 2d AJC Villiers S., Gr.3, STC Parramatta Cup, L, 3d STC Phar Lap S., Gr.2. Sire. ORSAY (Red Anchor). 3 wins at 1500m, 1600m, A$121,495, VRC AV Kewney S., Gr.2, SBS Radio H., VATC Forina H., 2d SAJC Alsco Linen Service H., 3d STC Ansett Australia S., Gr.1, SAJC Dequetteville S., L, Desirable H. Producer. HIRE (Canny Lad). 5 wins to 1400m, A$852,895, AJC Royal Sovereign S., Gr.2, STC Theo Marks H., Gr.2, NSW Tatt's RC Ming Dynasty H., L, Hawkesbury Guineas, L, STC Aristocrat H., 2d VRC Salinger S., Gr.1, QTC Stradbroke H., Gr.1, STC George Ryder S., Gr.1, AJC Warwick S., Gr.2, Stan Fox S., Gr.2, VATC Moonga S., Gr.3, 3d AJC Apollo S., Gr.2, STC Royal Parma S., L, 4th AJC Epsom H., Gr.1. LEASE (Quest for Fame). 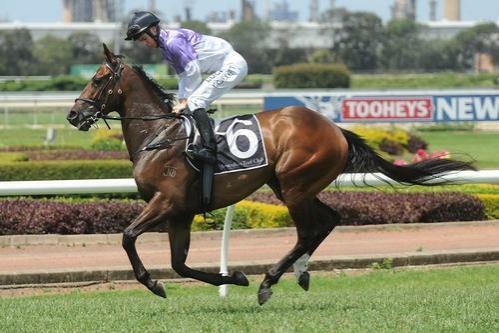 2 wins-1 at 2-at 1400m, 2000m, A$532,250, STC Tulloch S., Gr.2, AJC Belmura Lad 2YO H., 2d AJC Doncaster H., Gr.1, QTC Queensland Classic, Gr.1, AJC PH Osborne 2YO H., SAJC Liquorsmart H., STC Truscott's Toyota Welter H., 3d VRC Australian Guineas, Gr.1, STC Shannon H., Gr.3, Heritage S., L, Winfreux Quality H., 4th AJC Queen Elizabeth S., Gr.1. Tudor Lad (Canny Lad). 7 wins from 1200m to 1650m, A$259,600, WATC Italian Day This Saturday H., Small Business Awards Welter H., Loxam Developments Welter H., Perthracing.com.au H., Supporting the Homeless H., 2d Bunbury S., L, 3d Kalgoorlie Boulder RC Hannan's H., L, 4th WATC Hyperion S., Gr.3. PRANKSTER (Dash o' Pleasure). 8 wins-1 at 2-from 1100m to 1600m, A$142,580, AJC June S., L, King Brian H., Track Talk Video H., STC Swan Gold H., Wyong Guineas, 2d NSW Tatt's RC Tramway H., Gr.3, Ipswich TC Eye Liner S., L, STC Hardys All Weather H., 4th STC Carringbush Cup, Gr.2. FANTASIA (Canny Lad). 3 wins at 1400m, 1600m, A$221,680, AJC Emancipation S., Gr.2, Shade Oak H., James White H., 2d STC Epona S., L, Newcastle JC Tibbie S., L, 3d AJC Shame H., City Tatt's RC Colleen Roberts H., STC Clubsnsw H., Schweppes Viage H., 4th AJC Surround S., Gr.2, Illawarra TC Keith F Nolan Classic, L.
ENZEDEX EAGLE (High Yield). 6 wins from 1600m to 2400m, NZ$4,350, A$339,380, STC NE Manion Cup, L, AJC Te Akau Nick Welter H., Paddington H., STC Kooringal Hotel H., 2d AJC Randwick City S., Gr.3, 3d Newcastle Gold Cup, Gr.3, STC Premier's Cup, L, Gosford Cup, L, Wyong Gold Cup, L-twice. Race Record: 5 Starts 1-1-0 A$40,400. Winner at 1350m in 2014-15, BRC PFD Food Services H., 2d BRC Sky International 2YO P.